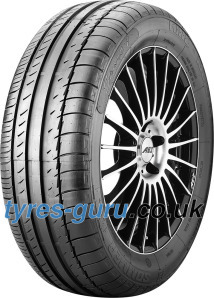 Compare our prices and you will see why Tyres Guru is a place to go when it comes to buying tyres online, but also wheels, and accessories. Our selection of winter tyres, all season tyres, summer tyres, and run flat tyres is immense. You can find top brands like Continental and as well as well-rated budget brands including the likes of Goodride and Maxxis. Not only that our prices are strikingly low, but we are also giving you a wide range of vehicle-specific tyres to choose from, ranging everywhere from car tyres, motorcycle tyres, van tyres, truck tyres to tyres for agricultural vehicles, diagonal trailer tyres, and industrial tyres. Whether you want to buy tyres from a budget, or a medium range, or you want to buy a premium tyre brand, we got you covered with excellent tyre prices. Since we’re a web store, you are free to make orders 7-days-a-week 24 hours a day. That is why buying tyres in the UK is easy when done with us. Size of the tyres – Before you buy tyres for your vehicle, you must have the knowledge about the size that will fit your vehicle best. A tyre size comprises of three codes; cross-sectional width, profile height and construction. For example, 205/55 R16 represents a tyre size that has 205 millimetres in width, 55 is the profile height and R is the radial construction. Number 16 represents the wheel diameter that the tyre is supposed to match. Vehicle’s Requirements – There are many types of vehicles; Passenger cars, commercial vehicles sedans, coupes, sports cars etc. Every vehicle has its own specifications and so the varying tyres are required for every different type. Depending upon your vehicle type, you can get the tyres accordingly. Pay special attention to the loading capacity of the tyre (the last number on the tyre sidewall) if you are looking for tyres for a van, or a transporter, or any vehicle that will withstand heavier loads. That number should be around a hundred, meaning it can carry a load of at least 1700 pounds. If you want to drive at speeds that are above the every-day drivers’ habits, consult the last letter shown on the tyre sidewall. Speed rating of a tyre that represented by the U,H,V,W,Y,Z markings is ensuring that your driving speed can be at least 124 mph. With our user-friendly interface, you can have a hassle-free tyre shopping. All you have to do is select the size, brand, and order the tyres. Alternatively, you can type in your vehicle registration number, and a list of appropriate tyres will appear. Once you order the tyres, we’ll deliver them fast to your address, or to one of the 2000 fitting stations that we collaborate with throughout the UK. Our advantage is that we stock a huge variety of tyres in an economical range, thus enabling you to get cheap tyres online easily. For any questions regarding your purchase or our offers, our customer service representatives are there for you from Monday to Friday 7 AM - 9 PM. When to Change Old Tyres? There are basically two schools of thought. The law says to change them once the tyre tread is 1.6 mm deep and that’s a bare minimum. Breaking distances will significantly increase at this tread depth, so maybe you should get a second opinion. Experts are suggesting a tyre change already at 3 or 4 mm. In case of a tyre damage, we recommend changing the tyres regardless of their tread depth. To perform this check on your own, you can use a 20 pence coin. Place it in the main tyre tread groove and check if you can see the coin’s outer band. Should that be the case, tyre replacement should be the next thing on your mind. We ship orders of two or more tyres for free, throughout mainland UK. Our search engines are comparing prices online and ensuring our offers are competitive. We have an extensive network of fitting partners, which enables you to get your tyres fitted throughout the country. Our tyres storage encompasses and incredible range of tyre types, so even the most uncommon requests might be catered to.